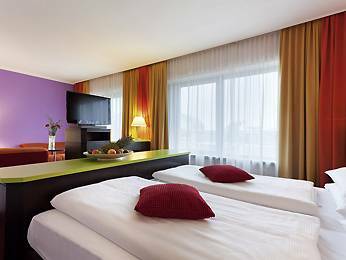 The Hotel Das President Wien is situated in a convenient location for both business and leisure travellers. As a conference hotel in Wien it has 77 rooms of different sizes and standards. Please also have a look at the other conference hotels in Wien which we are proud to present to you. The Hotel Das President Wien and its staff have gained a lot of experience with arranging meetings, conferences, trainings and all sorts of events. Offering conference facilities including 1 meeting room the hotel has been used as a conference hotel in Wien on a regular basis. Please also have a look at the other conference hotels in Wien which we are proud to present to you.